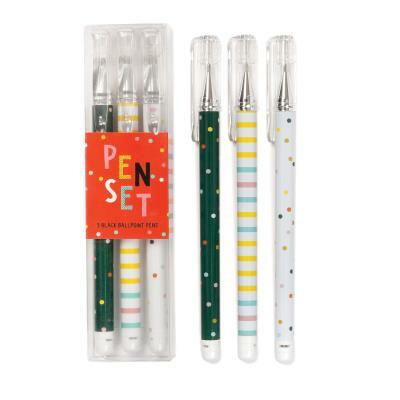 The perfect set of writing tools for a great day, Galison's Hooray Today Pen Set is a delight! The set of three black ballpoint pens are decorated with exuberant patterns and colors and packaged in a clear acetate box. Each pen features a unique design.